It is very important to keep track of your dental health. Scheduling an appointment every six months is critical to your overall health and well-being. Crestridge Dental in Burnsville, MN can help you stay up-to-date with your cleanings and more. 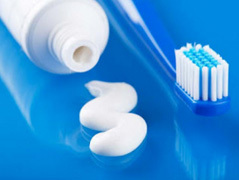 Brush your teeth two-three times every day with a soft-bristled toothbrush. These services will greatly reduce the amount of fillings and other uncomfortable treatments you will need in the future. The dental hygienists at Crestridge Dental will remove plaque and tartar buildup and properly clean your teeth and gums each appointment. We will even teach you the best methods for brushing and flossing to keep your teeth feeling as smooth and clean as the day of your cleaning. Our goal is the keep your mouth as healthy as possible and to utilize preventative care as well. Our dentists and hygienists are highly trained in the latest techniques to keep your mouth happy and healthy. Call us today at 952-892-5050 to schedule your next dental cleaning.